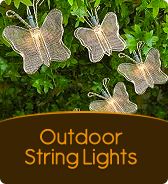 Give your garden lighting a modern twist with stunning fairy lighting inside clear naked light bulbs. 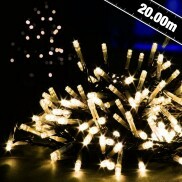 Add sparkle to your home and garden with 20m of super bright fairy lights in vintage gold, white and red, white and warm white, pink or blue and white with clear cables. 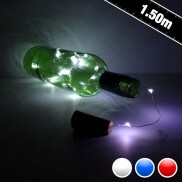 With a timer and 8 cool functions, these warm white LED fairy lights add a touch of magic to your home and garden. 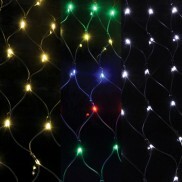 With warm white and multi coloured light effects, these multi function fairy lights give you maximum flexibility! 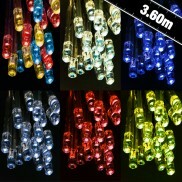 Create magical fairy lights in multi coloured and warm white light from one set of dual coloured LED fairy lights! 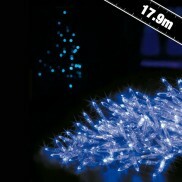 A web of sparkling fairy lights to add festive cheer to your home and garden available in warm white, bright white or multi coloured with eight functions. 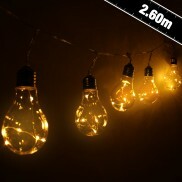 Enjoy the traditional appearance of fairy light bulbs and the efficiency and multi function effects of LEDs with these white LED fairy lights. 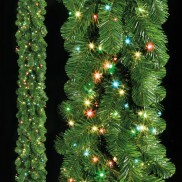 Create professional grade fairy lit garlands with extra sparkle with multi function, multi coloured garland lights. 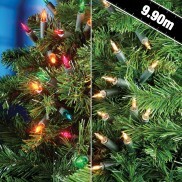 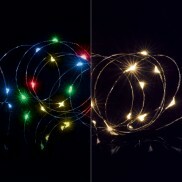 Give your home and garden a magical sparkle with multi function bright white LED string lights with star shaped tips! 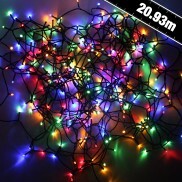 With poseable wire and micro LEDs, Micro Bright fairy lights are perfect for adding sparkle to table decorations and flower arrangements with warm white or multi coloured light. 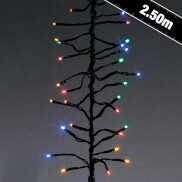 The easy way to achieve beautiful even fairy lighting on trees in your home and garden, Microbright tree net lights are available in multi coloured or warm white static, or bright white multi function. 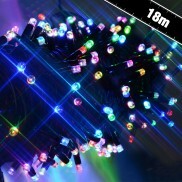 Bring your home and garden to life in a riot of magical colour with 1200 LED multi coloured string lights with a huge 96m of illumination! 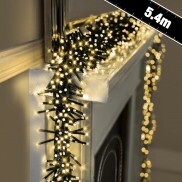 Enjoy beautiful warm white light displays with a more festive feel with magical multi function Star Cap string lights! 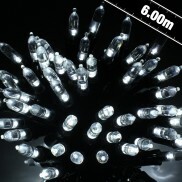 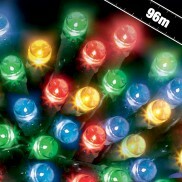 Ensure your festive lighting packs a punch with endless sparkle from 480 LED warm white multi function cluster lights! 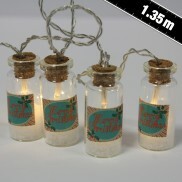 Bright and decorative fairy lights that add instant charm and a magical, festive atmosphere. 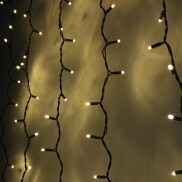 Dress your home indoors or outdoors with dazzling fairy lights! 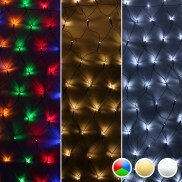 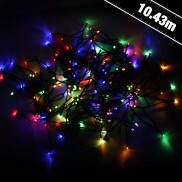 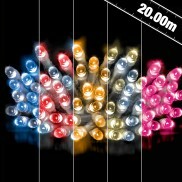 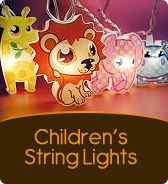 180 Reflector Multi Function LED String Lights shine with colourful, super bright light! 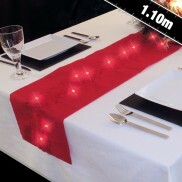 Add a little sparkle to your dining table with a beautiful LED Table Runner. 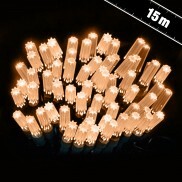 Perfect at Christmas or year round for atmospheric dining lighting. 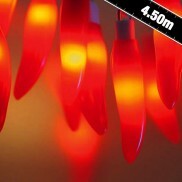 Get hot in the kitchen with funky red Chilli String Lights! 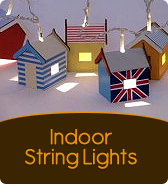 Decorative, atmospheric and great fun! 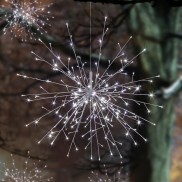 Create a magical atmosphere with dramatic sparkle and shine with a super sized white sparkle ball light. 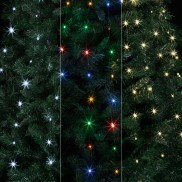 The use of fairy lights or Christmas lights originates from Germany as far back as the 17th Century. 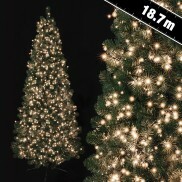 These first appeared on trees of only rich families in the form of candles and were used to illuminate not only the tree but other items used to decorate the tree.